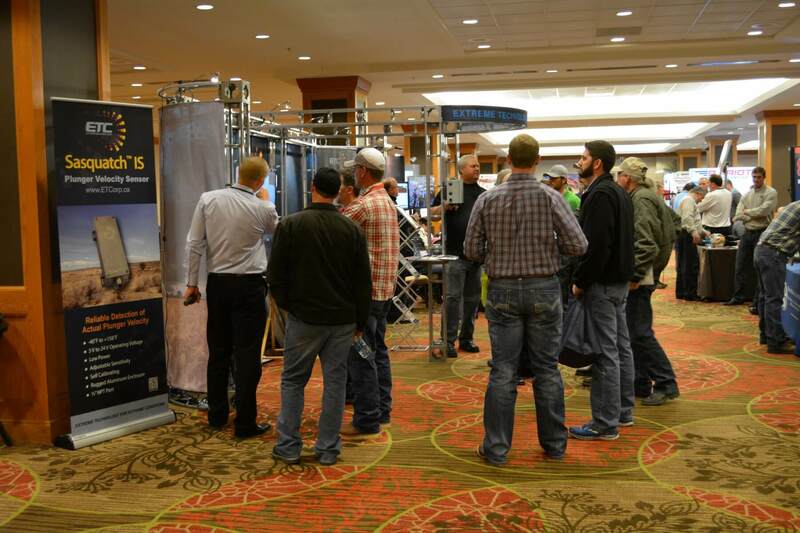 2017 ALRDC Gas Well Deliquification Workshop - Extreme Telematics Corp.
For the 6th consecutive year, ETC will be exhibiting at the ALRDC Gas Well Deliquification Workshop at the Sheraton Denver Downtown Hotel in Denver, CO from February 20 to 22, 2017. This forum provides an essential platform for industry professionals to share knowledge on new techniques, equipment and products related to economical deliquification of gas wells. Our President & CEO, Mark Scantlebury, will be giving a presentation on Using Kinetic Energy for Plunger Lift Safety and Maintenance, Wednesday at 11:00am. For the complete conference schedule, click here. Stop by our booth to check out our brand new Iris Wireless Bridge and find out why this exciting new product is already in high demand! We will also be demonstrating our new Sasquatch plunger velocity sensor with ETC Vision, and have our ALiEn2 plunger lift controller, and the market leading Cyclops IS & ExP plunger arrival sensors on display. Watch for Mark Scantlebury (President and CEO) and Shane Soum (Channel Sales Manager) who will be onsite for the duration of the show and arranging meetings outside conference hours.